Official Adidas product which is brand new with tags. 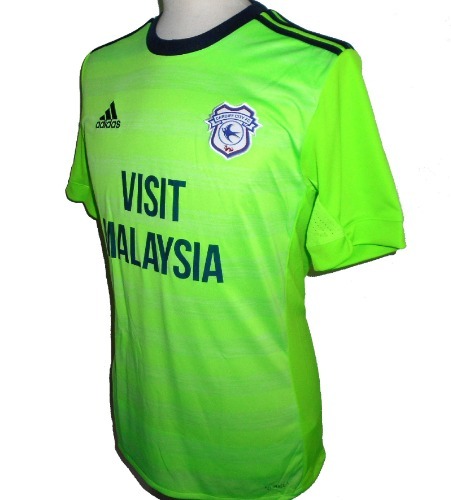 This is the 2018-2019 season green away soccer jersey of Cardiff City FC as they battled to avoid relegation in their first season back in the Premier League. - Bright green with navy blue trim. - Adidas product code BK7828. - Adult Mens Size XL. - See our own stock photos of the actual item (size S shown in photos). - Shipped same day or next day from the UK.